Kids look up to their dads. Dads have to be able to break in a new baseball glove (and to know which glove is age-appropriate), to answer every question imaginable (why is a football called a pigskin? ), to teach their child how to throw a knuckleball, skate backwards on hockey skates, or spin a basketball on one fingertip. When it comes to sports, dads are expected to know and do everything. Such an amazing dad is rare. For the rest of us, there’s Cool Sports Dad. 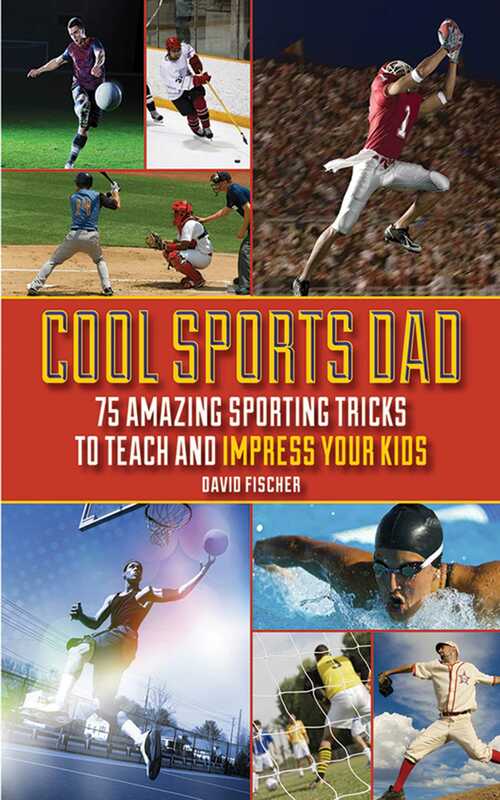 Cool Sports Dad is packed full of mini essays about sports by the world’s most knowledgeable experts. The contributors to Cool Sports Dad range from instantly recognizable All-Star names like Jerome Bettis and David Wright to the next generation of extreme athletes like BMX biker and 2005 X Games silver medalist Scotty Cranmer and Bassmasters fishing champion Kevin Van Dam. All have been chosen for inclusion because they are at the very top of their profession, be it baseball, basketball, football, BMX racing, or even fishing. Fathers may not know everything, but with Cool Sports Dad on-hand they can give the impression they do.